Juggling or Object Manipulation is more than meets the eye! A versatile and suspenseful art, juggling can bring smiles to all faces, old and young. 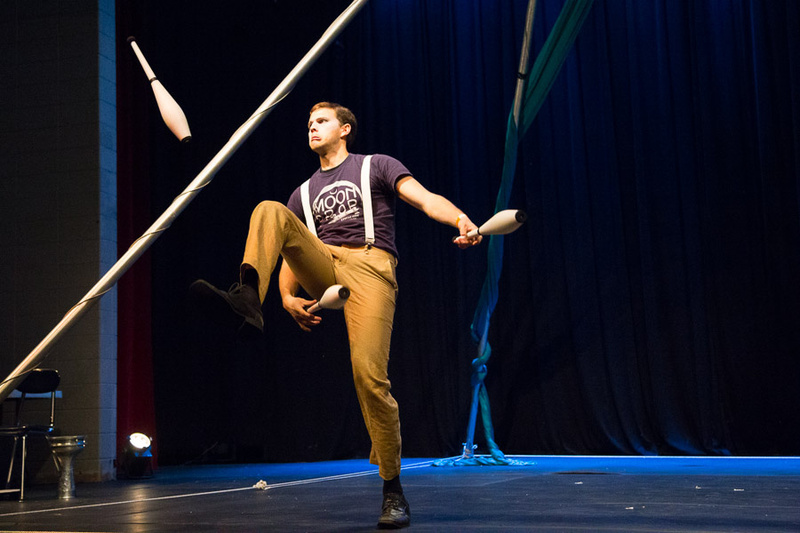 It can be combined with mime-work and satire, or can be performed with a classic juggling style with an emphasis on impressive physical precision. MoonDrop brings you real quality of character with talented juggling technique. Kansas City is famous for jugglers, and we can boast on of the nation's largest public juggling clubs. The Kansas City Juggling Club welcomes newcomers to their weekly meet ups any Wednesday. Check out their website for more information on community juggling in Kansas City.